Virginia Senior Centers are in neighborhoods in Amherst, Amissville, Ashburn, Cave Spring, Chantilly, Fort Monroe, Glen Allen, Haymarket, Keswick, Lexington, Nellysford, New Kent, Shenandoah Valley, Spotsylvania, Virginia Beach and Williamsburg VA. These senior centers provide a variety of programs and services to help seniors maintain their independence and vitality. Programs include activities, educational opportunities, counseling and support groups, volunteer opportunities, and wellness programs. Some senior centers in Virginia also offer meals, help with financial and medical paperwork, transportation to and from the center, shopping trips, outings, and other services to seniors. Charlottesville, Virginia 22901 Phone: (434) 974-7756 Senior Center Inc. is a non profit senior center and is one of the best in the country. 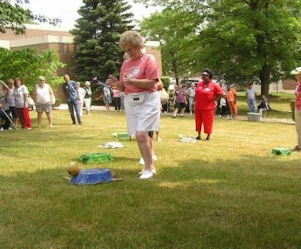 Comprehensive programs and activities make this a showcase and national model for senior centers. Historic Triangle Senior Center - The Historic Triangle Community Services Center is 32,000 square foot building with first floor offices, teaching and meeting rooms plus a full size community hall and conference center. Connect to our National database of Senior Centers to see full descriptions, photos, and contact information for more Virginia Senior Centers. Senior Centers are invited to submit a free listing of their center to this database located at 55 Community Guide.com, another website in the Retirement Media Inc. family of sites. 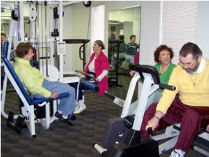 Activities at Virginia Senior Centers include: Exercise and Fitness programs; Computer classes; Arts and Crafts; Games; various Educational classes; Recreational and Social activities; Health Screenings and services; Special Events and Guest speakers. Senior Centers also offer Dances and Dance classes, Clubs, Group Travel opportunities, and much more. Many Virginia Senior Centers serve congregate meals such as breakfast and a hot nutritious lunch free or for a small donation. Senior Centers usually ask that meal reservations be made one day in advance. 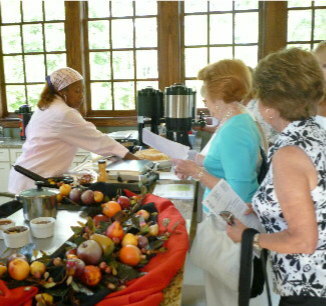 To reserve your congregate meal breakfast or lunch contact your local senior center. Adkins Shore, Amelia Court House, Ashland, Bon Air, Chester, Chesterfield, Chula, Colonial Heights, Dinwiddle, Doswell, Elmont, Ettrick, Five Forks, Glen Allen, Goochland, Hanover, Hopewell, King William, Lakeside, Manakin-Sabot, Mechanicsville, Midlothian, Moseley, New Kent, Petersburg, Powhatan, Richmond, Rockville, Roxbury, Studley, Sutherland, Winterham, Winterpock, Virginia. Abingdon, Accomac, Achilles, Acorn, Afton, Alberene, Alberta, Alexandria, Alleghany, Allison Gap, VA, Altavista, Alton, Amelia Court House, Amherst, Amissville, Amonate, Annandale, Appalachia, Apple Grove, Appomattox, Ararat, Arcola, Arlington, Arrington, Arvonia, Ashburn, Ashland, Augusta Springs, Austinville, Axton, Aylett, Bacova, Baileys Crossroads, Barboursville, Barren Springs, Bassett, Bastian, Basye, Batesville, Beaverdam, Bedford, Bedford (Bedford county seat), Bellamy, Bentonville, Bergton, Berryville, Beulahville, Big Island, Big Stone Gap, Blacksburg, Blackstone, Blairs, Bland, Bloxom, Blue Ridge, Bluefield, Bon Air, Boones Mill, Boston, Bowling Green, Boyce, Boydton, Boykins, Bracey, Brandy Station, Brentsville, Bridgewater, Bristol, Bristow, Broad Run, Broadford, Broadway, Brodnax, Brokenburg, Brooke, Brookneal, Brosville, Brownsburg, Brucetown, VA, Bruington, Brumley Gap, Buchanan, Buckingham, Buckner, Buena Vista, Burgess, Burke, Burkes Garden, Burkeville, Burr Hill, Callaghan, Callands, Calverton, Cana, Cape Charles, Carrollton, Carrsville, Carson, Cartersville, Cascade, Catharpin, Catlett, Caylor, Cedar Bluff, Centenary, Center Cross, Central Point, Centreville, Ceres, Chamberlayne Heights, Champlain, Chantilly, Charles City, Charlotte Court, Charlotte Court House, Charlottesville, Charlottesville (Albermarle co, Chase City, Chatham, Cheriton, Chesapeake, Chester, Chesterfield, Chilhowie, Chincoteague, Christianburg, Christiansburg, Chula, Churchville, Claremont, Clarks Gap, Clarksville, Clear Brook, Cleveland, Clifton, Clifton Forge, Clinchco, Clinchport, Clintwood, Clover, Cloverdale, Cluster Springs, Coeburn, VA, Collinsville, Colonial Beach, Colonial Heights, Concord, Courtland, Covesville, Covington (Alleghany county se, Craigsville, Crewe, Criders, Crimora, Cripple Creek, Crockett, Crozet, Crozier, Crystal Hill, Cullen, Culpeper, Cumberland, Dale City, Daleville, Damascus, Dante, Danville, Dayton, Deerfield, Delaplane, Deltaville, Dendron, Dewitt, Dillwyn, Dinwiddie, Disputanta, Donovans Corner, Drakes Branch, Drewryville, Dry Fork, Dryden, Dublin, Dumfries, Dundas, Dungannon, Dunn Loring, Dyke, Eagle Rock, Earlysville, Eastville, Ebony, Edgerton, Edinburg, Eggleston, Elk Hill, Elkton, Elliston, Elmo, Emory, Emporia, Emporia (Greensville county se, Esmont, Evington, Ewing, Exmore, Faber, Fairfax, Fairfax (Fairfax county seat), Fairfax Station, Fairfield, Falling Spring, Falls Church, Falmouth, Farmville, Farnham, Ferrum, Fieldale, Fincastle, Fishersville, Five Mile Fork, Flint Hill, Floyd, Forest, Fork Union, Fort Belvoir, Fort Blackmore, Fort Mitchell, Franconia, Franklin, Fredericksburg, Free Union, Fries, Front Royal, Fulks Run, Gainesville, Galax, Gate City, Glade Spring, Gladstone, Gladys, Glasgow, Glen Allen, Glen Wilton, Gloucester, Gloucester Point, Goldvein, Goochland, Goode, Goodview, Gordonsville, Gore, Goshen, Great Falls, Greenville, Gressitt, Gretna, Grottoes, Groveton, Grundy, Guinea, Gwynn, Halifax, Hallwood, Hampden Sydney, Hampton, Hanover, Harman, Harrisonburg, Harrisonburg (Rockingham count, Hartfield, VA, Hartwood, Haymarket, Haynesville, Haysi, Healing Springs, Heathsville, Henry, Herndon, Hewlett, Highland Springs, Hillsville, Hinton, Hiwassee, Hoadly, Honaker, Hopewell, Hot Springs, Huddleston, Hume, Hurley, Hurt, Hybla Valley, Independence, Index, Ingram, Isle of Wight, Ivanhoe, Ivor, Jamestown, Jarratt, Jeffersonton, Jetersville, Jewell Ridge, Jewell Valley, Jonesville, Keene, Keezletown, Kenbridge, Kent, Keokee, Keysville, Kilmarnock, King and Queen Courthouse, King George, King William, Kinsale, Kire, Konnarock, La Crosse, Lacey Spring, Ladysmith, Lakeside, Lancaster, Lanexa, Laurel Fork, Lawrenceville, Lebanon, Lebanon Church, Leesburg, Lewisetta, Lexington (Rockbridge county s, Lignum, Linden, Linville, Lively, Locust Grove, Long Island, Lorton, Louisa, Lovettsville, Lovingston, Lowmoor, Lowry, Lunenburg, Luray, Lynch Station, Lynchburg, Lyndhurst, Madison, Madison Heights, Madisonville, Manakin, Va, Manakin Sabot, Manassas, Manassas (Prince William count, Manassas Park, Manquin, Marion, Markham, Marshall, Martinsville, Martinsville (Henry county sea, Mascot, Massies Mill, Mathews, Mavisdale, Max Meadows, Mc Clure, Mc Kenney, Mc Lean, McClure, McCoy, McDowell, McKenney, McLean, Meadowview, Mechanicsburg, Mechanicsville, Meherrin, Melfa, Mendota, Merrifield, Middlebrook, Middleburg, Middletown, Midlothian, Milford, Millboro, Mineral, Mitchelltown, Moccasin Gap, Mollusk, Moneta, Monroe, Monterey, Montpelier, Montross, Montvale, Morrisville, Moseley, Mount Airy, Mount Crawford, Mount Jackson, Mount Sidney, Mount Solon, Mouth of Wilson, Mustoe, Narrows, Naruna, Nassawadox, Nathalie, Natural Bridge, Natural Bridge Station, Nellysford, Nelson, Nethers, New Baltimore, New Canton, New Castle, New Kent, New Market, Newport News, Newsoms, Newtown, Nickelsville, Nokesville, Nora, Norfolk, North Garden, Norton, Nottoway, Oakpark, Oakton, Occoquan, Onancock, Onley, Orange, Oriskany, Owenton, Paeonian Spring, Paint Bank, Palmyra, Pamplin, Pardee, Parksley, Parrott, Partlow, Patrick Springs, Pauls Cross Roads, Paytes, Pearisburg, Pender, Penhook, Penn Laird, Pennington Gap, Petersburg, Phenix, Pimmit Hills, Piney River, Pittsville, Pleasant Valley, Pohick, Poquoson, Port Republic, Port Royal, Portsmouth, Pound, Powhatan, Pratts, Prince George, Prospect, Providence Forg, Providence Forge, Pulaski, Purcellville, Purdy, Quinton, Radford, Randolph, Rapidan, Rappahannock Ac, Red Ash, Red Oak, Reedville, Remington, Reston, Reva, Rhoadesville, Rice, Rich Creek, Richlands, Richmond, Richmond (Henrico county seat), Rickseyville, Ridgeway, Rileyville, Riner, Ringgold, Riverton, Rixeyville, Roanoke, Rockdell, Rockville, Rocky Gap, Rocky Mount, Rose Hill, Rose Hill Farms, Round Hill, Ruckersville, Rural Retreat, Rushmere, Rustburg, Ruther Glen, Saint Charles, Saint Paul, Salem, Salem (Roanoke county seat), Saltville, Saluda, Sandston, Sandy Level, Saxe, Schuyler, Scottsburg, Scottsville, Seaford, Sebrell, Shadwell, Shanghai, Shawsville, Shenandoah, Sherando, Shipman, Simpsons, Smithfield, Somerset, South Boston, South Hill, Spencer, Sperryville, Spotsylvania, Spout Spring, Spring Creek, Spring Garden, Spring Grove, Springfield, Stafford, Stanardsville, Stanley, Stanleytown, Starkey, Staunton, Staunton (Augusta county seat), Stephens City, Sterling, Stevens Creek, Stevensburg, Stonega, Stony Creek, Strasburg, Stuart, Stuarts Draft, Suffolk, Sumerduck, Supply, Surry, Susan, Sussex, Sutherland, Sweet Briar, Swoope, Syria, Tappahannock, Tazewell, Temperanceville, Thaxton, The Plains, Va, Timberville, Tiptop, Toano, Toga, Toms Brook, Trammel, Triangle, Triplet, Trout Dale, Troutville, Tysons Corner, Union Level, Unionville, Upperville, Urbanna, Vansant, Verona, Vesta, Vesuvius, Victoria, Vienna, Viewtown, Virgilina, Virginia Beach, Volens, Wachapreague, Wakefield, Walkerton, Wallace, Walters, Warm Springs, Warrenton, Warsaw, Washington, Waterford, Waverly, Waynesboro, Weedonville, Wellington, West Augusta, West Point, Whaleyville, White Post, White Stone, Whitetop, Wicomico Church, Wilderness, Williamsburg, Williamsburg (James City count, Williamsville, Wilsons, Winchester, Winchester (Fredrick county se, Windsor, Wingina, Winterpock, Wise, Woodbridge, Woodlawn, Woodstock, Woolwine, Wylliesburg, Wytheville, Yale, Yorktown, Zuni Virginia. Senior Centers in Georgia, Florida, California, Texas, North Carolina, South Carolina, Tennessee, Virginia, Oregon, Arizona, Nevada, Vermont, Alabama, Alaska, Arkansas, Colorado, Connecticut, Delaware, Hawaii, Idaho, Illinois, Indiana, Iowa, Kansas, Kentucky, Louisiana, Maine, Maryland, Massachusetts, Michigan, Minnesota, Mississippi, Missouri, Montana, Nebraska, New Hampshire, New Jersey, New Mexico, New York, North Dakota, Ohio, Oklahoma, Pennsylvania, Rhode Island, Washington, West Virginia, Wisconsin, Wyoming.